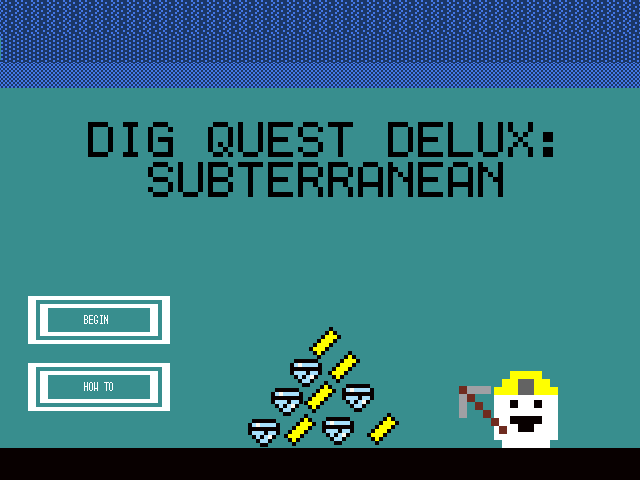 DigQuest was my and Duran "El_Cabaro" Coleman's entry for Ludum Dare 26. The theme that go-around was "Minimalism" which we both hated, and essentially ignored. 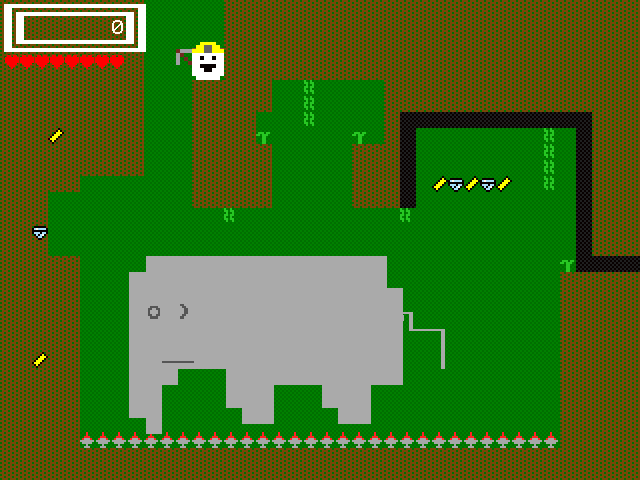 The justification we gave was that since the game was made entirely of old IBM characters then it was minimalist. Pretty much all the graphics were designed in 64pixels, which is actually a video game and not a graphics editor. The game is a 2D platformer and your goal is to guide Richard, the smiling protagonist, down to the very bottom of the cave system and defeat the "King of Subterranean Evil," Charles Flint. There's also a hidden secret in the game that nobody has ever found. Following on the heels of LD 25's Obamapology, this was the second game we did for Ludum Dare. We've been tossing around the idea of a sequel, but to be honest we've made enough digging-themed games. This page was last modified on 5 December 2018, at 05:03.